Skip the superstar destinations and go for the Gulf. The arc of isles fanning from east to west around the Gulf of Thailand offers a getaway for everyone. 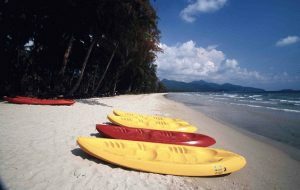 Explore for yours between Koh Kood and Koh Talu, via Koh Chang, Samet, Si Chang and more. Australian train journeys can be lengthy, epic and stunning. 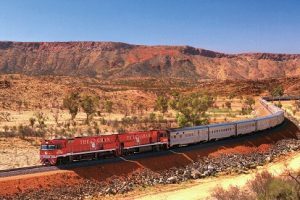 Go transcontinental, east-west on the luxurious Indian Pacific or north-south on its mate, The Ghan. Or ride lesser-known rattlers like the Gulflander, Tilt Train and Spirit of the Outback. 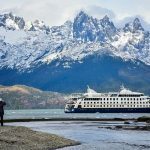 Brilliant expedition ships coming on line this year include purpose-built beauties like Scenic Eclipse (with submarine and helicopters) and Aurora Expedition’s Greg Mortimer (with revolutionary, inverted X-Bow). 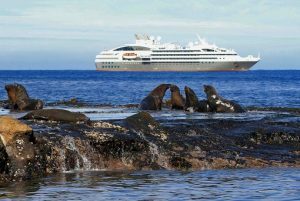 They join Ponant’s recent arrivals with “Blue Eye” underwater viewing portals. Just when you thought the Big Mango couldn’t fit another hotel along come four stunners. Three are in the thriving Sukhumvit hub around Nana-Asok — Hyatt Regency Bangkok, Continent Hotel Bangkok and Well Hotel — while across town the Waldorf Astoria has arrived at the flash new Magnolias Ratchadamri Development. Travel author John Borthwick picks ten of the best for the travelling year ahead.